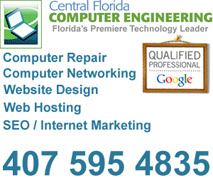 For more than 10 years CFCE has been providing outstanding IT support and computer networking services to small and medium sized businesses in the Orlando and Central Florida area. Proactive managers and business owners wholeheartedly know that computer networks need to be monitored, updated, and properly maintained in order to function properly every day. When you neglect your network you are gambling with your businesses future and sooner or later your network becomes a dysfunctional disaster, and is certainly not producing the best results for your organization. 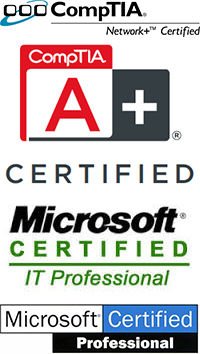 Every Central Florida business has different IT requirements and budget considerations. At CFCE, we understand this, and evaluate the needs of each individual network separately. Is your computer network neglected or is it getting the attention is really needs to drive your business forward? Also, and most importantly, we consider your budget when determining what you need to succeed from a network standpoint. 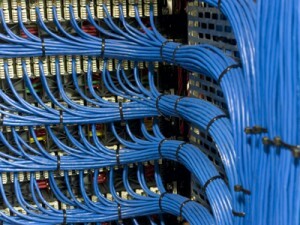 From fixing a small network problem to re-designing a computer network to deliver high performance speed and power, we deliver what we promise: outstanding IT and network support, with a no-nonsense approach to helping you exceed your business goals, for a price that is affordable. Contact Us while you are here to learn more.